I am not perfect. For all of the preaching/self-improvement/learned optimism that goes on here, I am, at the end of the day, completely human. 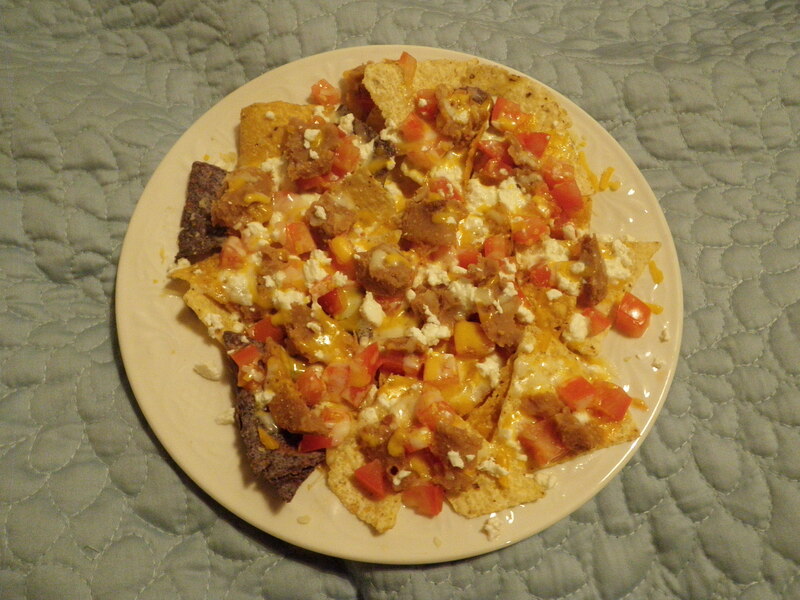 I do things like defile my pristine new chrysanthemum-patterned quilt by eating nachos, for dinner, in bed. And those small pleasures in life that I’m always on about? They’re not always so simple. Take for example my fancy coffee beverage of choice: an iced, decaf, soy mocha. That’s kind of too many words to describe a coffee, right? This one came from Café on 1st, which is right around the corner from my house, and I have to be careful to only go there on my days off, because I really, really like it there and could say goodbye to a lot of money that way. It reminds me of Grounds for Coffee in Ogden, basically the first coffee shop I ever even knew about. 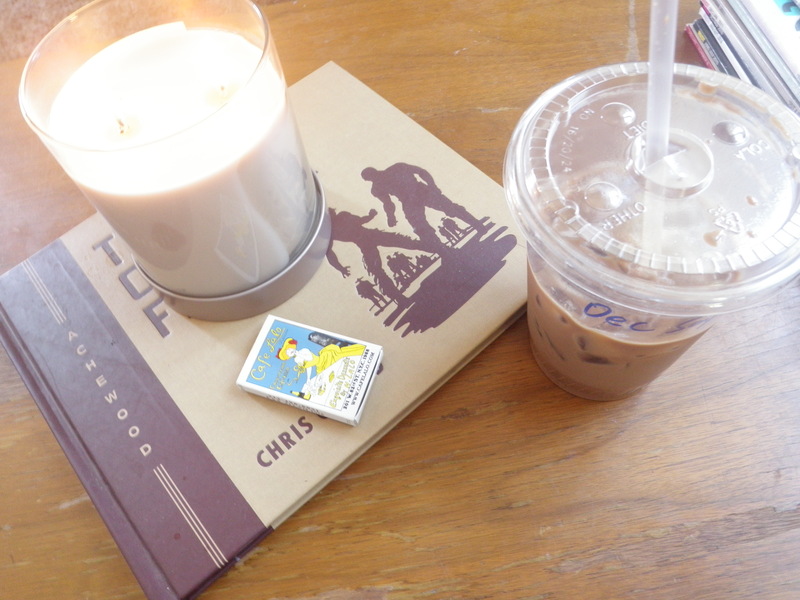 Also there’s that candle, which was a $10 splurge at Target. Kevin, Sister Natalie and I spent 5 minutes debating whether to buy a big one and a little one, or two big ones, or two little ones…because we’ll want one for the bathroom, of course, but the main house gets that weird smell from the smokers downstairs a lot…and the kitchen gets a weird smell sometimes, too…until we remembered that we live in a studio and can just walk five steps to move the candle from the main room to the bathroom or kitchen, as needed. But that’s OKAY. Self-acceptance! Love! Optimism! Happiness! Happy weekend, friends. Happy Pioneer Day.